The Nuweld II utilizes a sloped sill design, not a pocket sill found on many vinyl double hung windows. 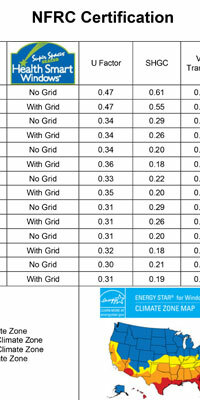 This means that water flows off the sill faster and cleaning debris from the sill of the window is much easier. Both top and bottom sashes tilt in for easy cleaning from inside the home. Sashes are weather-stripped with two rows of high performance fin-seal weather-stripping to minimize air infiltration. 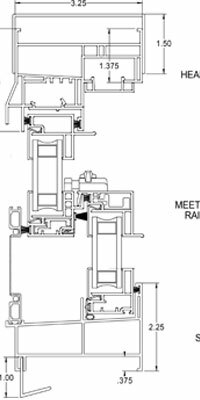 The fully weather-stripped and interlocking meeting rail provides a tight secure seal between the sashes. Positive locking cam action sash locks provide secure closure by drawing the top and bottom sash close together. High quality AAMA Certified vinyl used in the frame and sash construction is warranted to not crack, pit, or corrode under normal use. The color is through and through, meaning the only maintenance required is an occasional cleaning with soap and water. Several grid between the glass (GBG) options allow you to customize the look of the Nuweld II to match any architectural style. Optional extruded aluminum half or full screen is strong and long lasting. Euro-White color for a pleasing appearance. 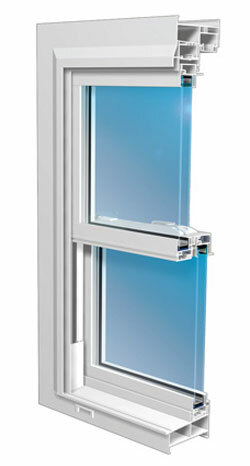 The Nuweld II window strikes a great balance between energy efficiency, appearance, ease of installation and value. The Nuweld II is a series of windows that includes a long list of standard features and available options and we think you will find the Nuweld II is a great choice for your remodeling project.